After Harshali aka Munni of Bajrangi Bhaijaan another wonder girl to win the hearts of millions and this time she will be from Assam. Yes! 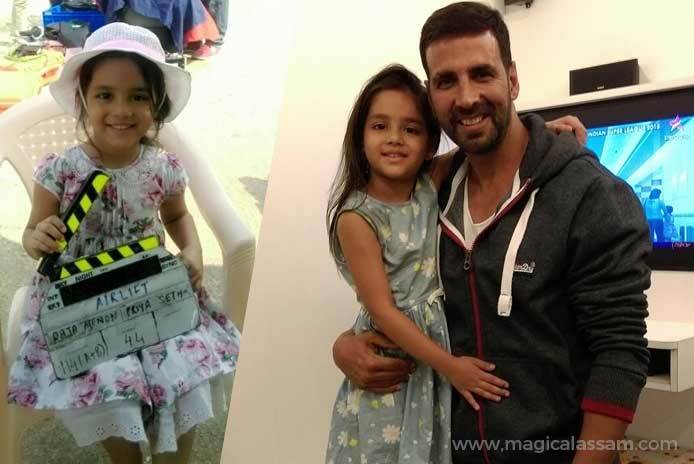 A five years old girl will be seen on upcoming bollywood film Airlift. 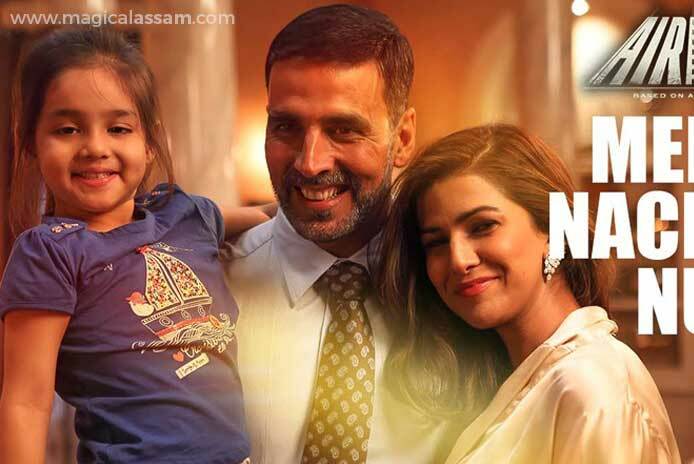 Featuring Akshay Kumar and Nimrat Kaur Airlift is one of the most keenly awaited films of 2016. Airlift is the story of the evacuation of Indians from Kuwait during the Gulf War. This film is releasing on January 22. Her name is Adiba Hussain. She is granddaughter of Mangaldoi Ward No.2 resident Rahimuddin Ahmed and Firuja Begum (Daughter of Jahanara Mohammad Hussain and Mohammad Hussain). In an interview Adiba says that after Harshali people will like her role in Airlift. “In the film I am playing the role of Akshay’s daughter. During the shoot Akshay sir was always with me and we had great fun.” Adiba mentioned. 3. She Already Worked With SRK, BigB! Don’t be surprised! She already worked with Shah Rukh Khan, Amitabh Bachchan and other bollywood stars in various television advertisements like Maruti Suzuki, Big Bazar, Santoor, Colgate etc. She already worked in various popular television serials like CID, Diya Aur Bati, Code Red, Savdhan India etc. She also shared the experience how the hijack scene of Diya Aur Bati where she had to look tense helped during the shoot of Airlift. Adiba Hussain’s favorite pass time is to eat chocolates, study and crating paper boats, Interesting ha! Plabita Borthakur in Lipstick Waale Sapne which also starts Konkana Sen Sharma. The list is loading.. check this space for more amazing updates. Never miss an Assamese Video. Watch as soon as its release.